Miss Earth Indonesia 2018 coronation night concluded on Friday, 6th July, 2018 at 19:00 hrs. The event was aired live on El John Tv, and the YouTube channel of the organization. At the conclusion of the finale Miss Earth Indonesia 2017 Michelle Alriani crown her successor, Miss Earth Indonesia 2018 Ratu Vashti Aannisa, who will now represent Indonesia at the Miss Earth 2018 pageant where Miss Earth 2017 Karen Ibasco will crown her successor. At the same event, Ratu Vashti Annisa wasn’t the only queen crowned. 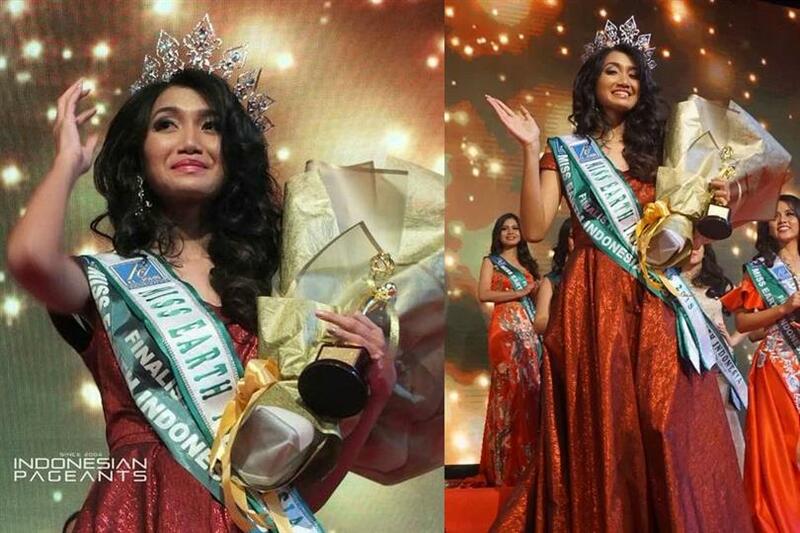 The first runner-up Aluna Rifani was crowned Miss Earth Undonesia Air 2018, Maurizka Khansa Kaulika was crowned Miss Earth Indonesia Water 2018, Vivian Jo was crowned Miss Earth Indonesia Fire 2018, and Yohana Aprilia was crowned Miss Earth Indonesia Eco Tourism 2018. Called Vashti by those close to her, Ratu is a 22-year-old standing tall at 172 cm. Her birthdate is 29 January 1995. She holds a degree in Bachelor of Communications, and works as a model. Ratu likes sports as well. Sheis also not new to pageantry, and had placed 2nd Runner-up None South Jakarta 2014 and Puteri Indonesia Banten 2017. The competing 30 finalists for the Miss Earth Indonesia 2018 crown were Vivian Jo, Ratu Vashti Annisa, Aluna Rifani, Olivia Soetikno, Paxia Reyna Prisya, Daniella Grace Krestianto, Bella Martha Junita, Tengku Putri Nadya, Syafira Nurulita Putri, Regita Nur Indah Paulani, Rilly Putri, Lara Surya Nengsih, Angelica Sovieana Ansanay, Yuni Tessa Afriliani Djanisar, Verta Mega Arlinsa, Ruris Septiani Putri, Bunga jasminie Nadia, Sherina Novita Yusuf, Lizzy Evsa Audrey, Adina Putri, Retna Winedar Oktafia, Saskia Auruma, Risma Yolanda Putri, Alfia Kezia Raintung, Risya Monica Syarnoeby, Ristra Bella Maharani Tandi, Maurizka Khansa Kaulika, Shania Dea, Aziva Zahrianis, and Yohana Gabriela.